Bryce Prince at Mazda Raceway Laguna Seca. Photo by Brian J. Nelson. 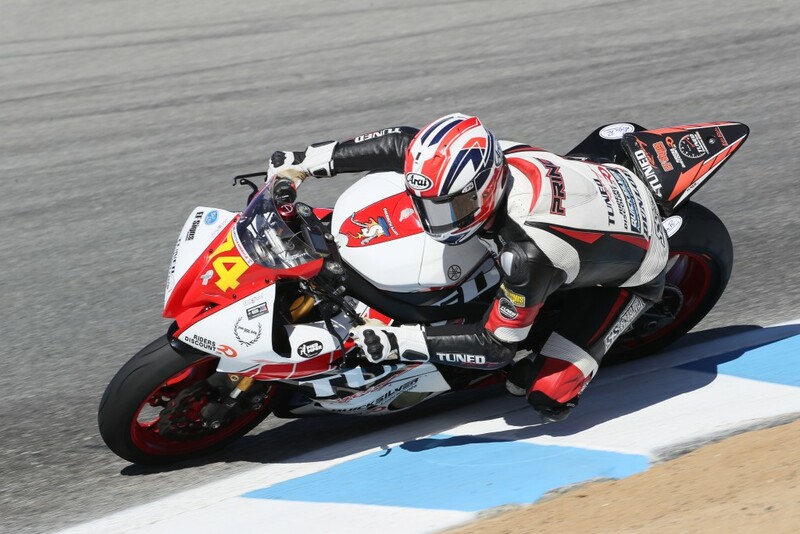 MONTEREY, Calif. (July 12, 2016) — It was another mixed weekend for Riders Discount/Tuned Racing at the Honda Superbike Showdown of California. Rider Bryce Prince took the top spot on the podium for the Superstock 600 race. Prince secured the 2016 MotoAmerica Superstock 600 Championship title at the previous round in Utah. Unfortunately, Jason Aguilar had a highside in the corkscrew during Sunday’s warm-up and was not able to race. Aguilar suffered a concussion and severe bruising in addition to opening the stitches on the foot he had surgery on last week. Despite a difficult weekend, Aguilar is focusing on healing so he can race in September for the final round of the series.